I’m setting up the guest room in the driveway for the Holidays. 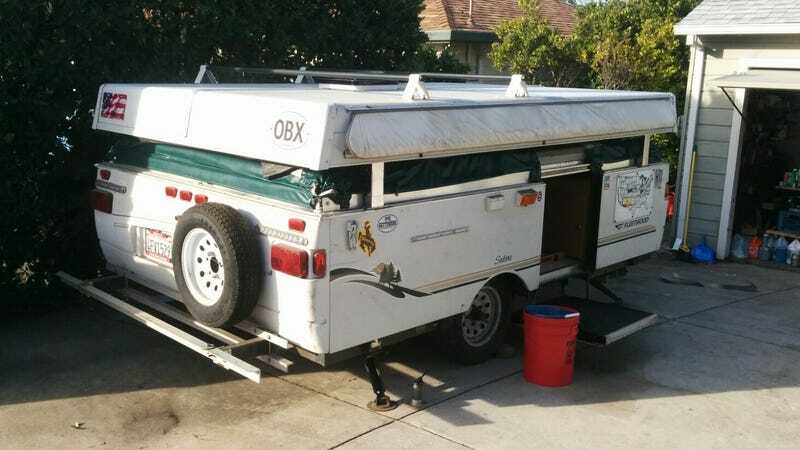 This 2007 Coleman Sedona tent trailer — the only wheeled vehicle I have ever purchased new — has been dragged from the Pacific to the Atlantic and back twice, and up and down and back and forth across the West. Alas, it has sat covered these three years. Anyways, the tires are crap and have worn like crap and look like they do after only about 5,000 miles. Can I use different tires or do anything else differently to hope for a different result?